Crittenton Home was originally the home of David Carroll, owner of the Mount Vernon Mill Company. The building got its name after being absorbed by the Florence Crittenton Mission in 1925. The Mission was started in 1882 by wealthy New Yorker and Protestant evangelist Charles Crittenton who made his fortune in pharmaceuticals. After losing his four year old daughter Florence to Scarlet Fever, Crittenton dedicated himself to philanthropy, using his wealth to open sanctuaries for unwed mothers. He traveled across the country proselytizing and offering five-hundred dollars to each town willing to open a Home. In 1898, President McKinley signed a special act of Congress which granted a national charter to the Florence Crittenton Mission, making it the first charitable organization to receive a national charter from the United States. At its peak, the Mission had over seventy-five Homes internationally. 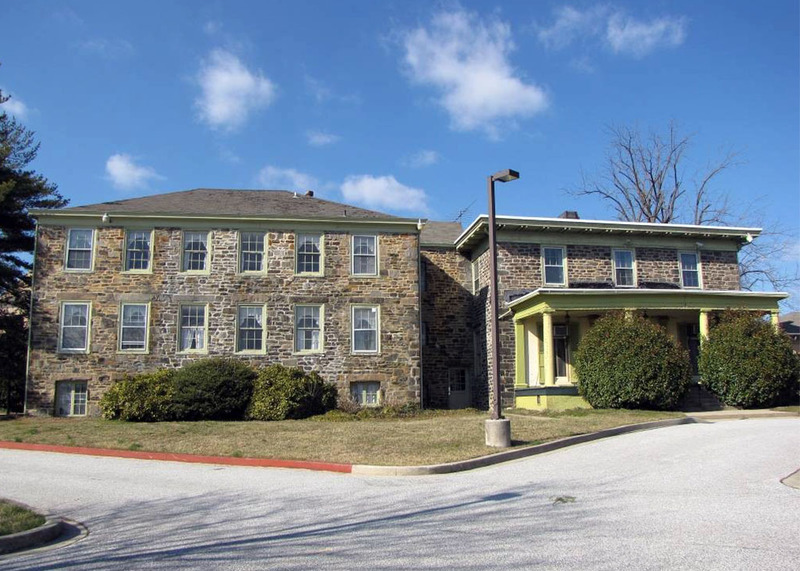 The mansion that became the Crittenton Home was likely constructed in 1845 during the development of Stone Hill, a company housing development for workers of the Mount Vernon mills. Positioned high on a hill, the mansion provided an impressive view over Stone Hill and the mills.Carroll could comfortably oversee his industrial domain from the comfort of his grand home, while employees catching glimpses of the house from their homes and workplace below could not shake the feeling that the boss was always watching. Carroll died in 1881. Afterward other executives of the Mount Vernon Mill Company likely inhabited the mansion. (His son, Albert Carroll, had Evergreen on the Hill, a Greek Revival Mansion now used by the SPCA). After a devastating 1923 labor strike, the mill company moved its operations south in search of cheaper labor and in 1925, the mansion was sold to the Florence Crittenton Mission. The purchase was a response to overcrowding at Baltimore's first Crittenton Home located in Little Italy. By the 1950s and '60s many Florence Crittenton Homes had become places where embarrassed middle class families hid their pregnant daughters. Under these arrangements, children were taken from their mothers and given up for adoption. With the introduction of birth control pills, the legalization of abortion, and the lessening of stigma against unwed pregnancy, Homes across the country began closing. The Hampden Florence Crittenton Home stayed in use until 2010. 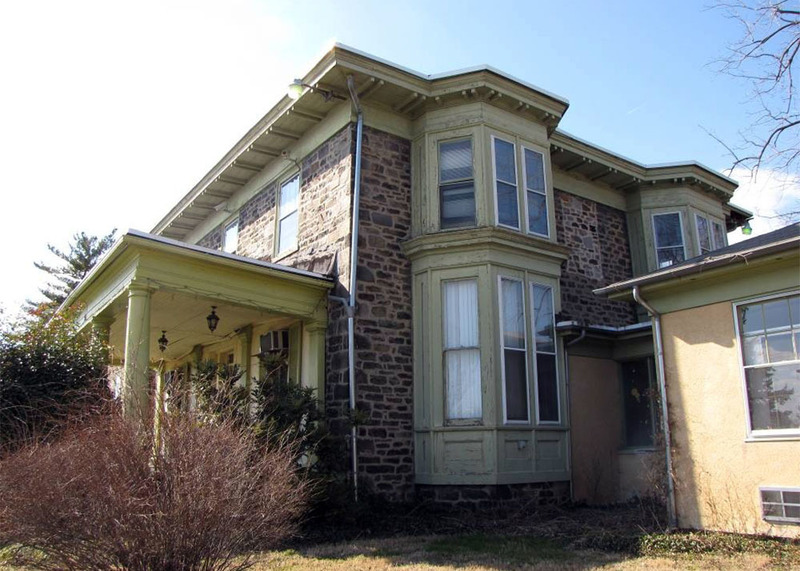 The mansion is currently being renovated and converted to apartments. The mid-century dormitories that served the Florence Crittenton House have been demolished to make way for townhouses. “Florence Crittenton Home,” Explore Baltimore Heritage, accessed April 23, 2019, https://explore.baltimoreheritage.org/items/show/465.